Physics is frequently one of the hardest subjects for students to tackle because it is a combination of two of the toughest subjects for most students: Math and Word Problems. 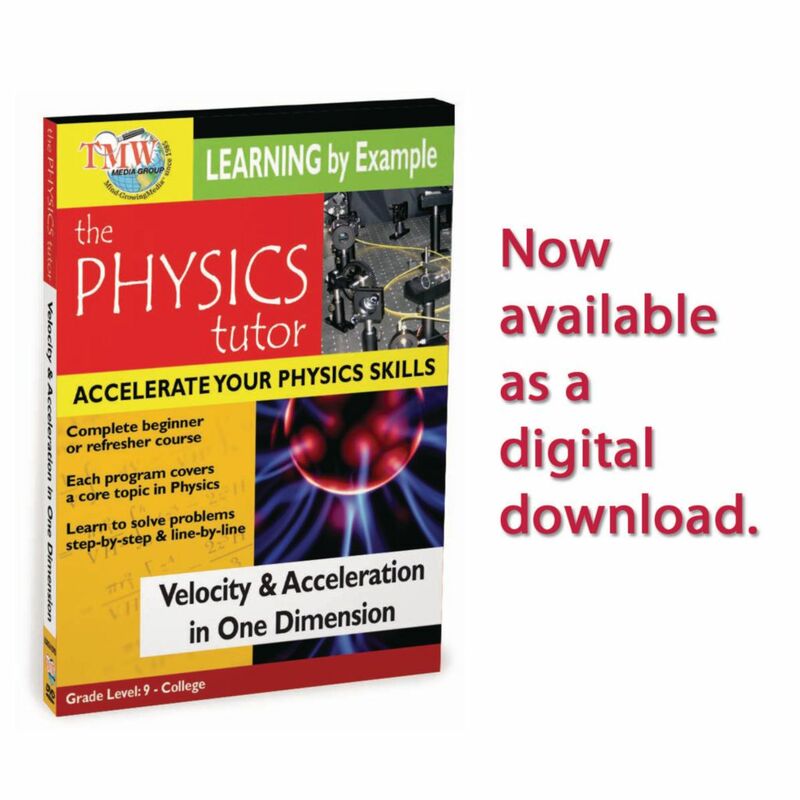 What sets this series apart from other physics teaching tools is that the concepts are taught entirely through step-by step example problems of increasing difficulty. It works by introducing each new concept in an easy to understand way and using example problems that are worked out step-by-step and line by line to completion. If a student has a problem with coursework or homework, simply find a similar problem fully worked on in the series and review for the steps needed to solve the problem. Students will immediately improve their problem-solving skills which will help with homework and exams and will have a reference for many of the commonly asked problems in Physics. In this program learn about motion that is constrained to one dimension, along a line. Jason Gibson teaches displacement, instantaneous velocity, and instantaneous acceleration, while demonstrating problems on the interrelation of displacement, velocity and acceleration and dimensional motion. Each teachers guide includes subject matter revision and suggestions on how to present material, questions to ask students and class projects to help illustrate the key concepts. 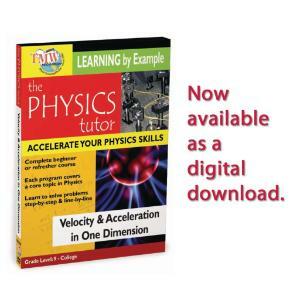 Resource Chapter – Includes Recommended Books & Physics Websites.